The Production Manager is an integral link between the staff and the guest artists. They are responsible for ensuring that the vision of the artist is brought to life on stage and that the process of doing so is done in a respectful and efficient manner, by pulling together the talents of a wonderfully eclectic mix of people. They are depended on for creating a budget that effectively allows a production to come to full fruition on stage which aligns with the vision, mission and values of the company. The Production Manager will run a full team of technical personnel which consists of four shop heads, four running crew heads, and Technical Director, and reports directly to the Executive & Artistic Director (EAD). We are looking for an energetic and collaborative leader that can hit the ground running and rally the team around our key priorities. - Secure and manage the necessary licenses as required to legally run a production, including firearms, open flame, capacity, vulnerable sector, first aid, fall protection, etc. - 5+ years relevant management experience in a theatrical setting. - Strong budgeting experience in both, creation and administration. - Working knowledge of either AutoCAD or Vectorworks. - Proficient with Microsoft office, specifically with Microsoft excel and spreadsheets. - Working knowledge of IATSE and ADC agreements. - A can-do attitude and a willingness to go above and beyond when necessary. - Experience working with and leading a unionized crew. - Exceptional communication, supervisory, and technical skills. - Strong, proven ability to manage, coach and mentor direct reports. - Strong organizational skills, including balancing multiple responsibilities and effectively meeting deadlines. - Proven ability to work independently as well as within a team environment. - Being adaptable and able to work in a changing environment. - Available for evening and weekend work.
. Review of applications will begin April 5th at 5:00 p.m. MST. Applications will continue to be accepted until the position is filled. Alberta Theatre Projects is committed to reflecting the diversity of our community. We believe in equity and inclusion and strongly encourage submissions from all qualified individuals regardless of gender, age, race, sexual orientation, and physical ability. Thank you to all applicants. Only those selected for interviews will be contacted. For more information about Alberta Theatre Projects please visit our website, www.albertatheatreprojects.com. 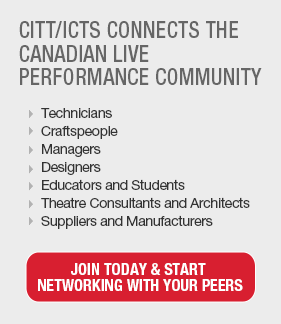 Alberta Theatre Projects is in its 47th Season producing live, professional, contemporary theatre in Calgary, Alberta. ATP has a new Executive & Artistic Director who brings a fresh perspective and a compelling vision for the future of our organization. Our Mission is to CREATE live theatre by telling relevant stories that reflect our community, to DEVELOP the work of Canadian artists to invite a diverse audience, and to EXPLORE intimate and immersive experiences in our home, the Martha Cohen Theatre. The 2018-19 Season received outstanding reviews from theatre-goers and critics alike with the Calgary Herald calling our work “world class”. The season recently concluded with our final production, The New Canadian Curling Club receiving rave reviews and breaking single ticket sales records. Alberta Theatre Projects will return to 6 plays in three different seating configurations (Proscenium, Thrust, & Cabaret) for our recently announced 2019-20 Season: The Wedding Party, Disgraced, The Lion, The Witch & The Wardrobe, Old Stock: A Refugee Love Story, Actually, and Cowgirl Up.